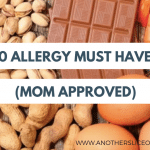 If you’re part of a food allergic family, you’ve already recognized that the holidays are over and the stress of safely maneuvering through meals and celebrations has passed. Whew. You can breathe again. 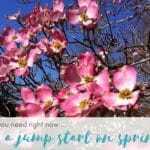 January quietly rolled in and your stress level fell, but now it’s February and almost time for the next “big day”. Valentine’s Day is not for the faint of heart. That’s right. With every holiday, celebration, classroom party and special snack that passes, another stressful situation CAN occur. Chocolate hearts filled with nuts permeating the entire treat bag, candies “not labeled for individual sale” hence no ingredient information, and store bought goodies that “may contain everything you’re allergic to” can certainly put a damper on any kid’s Valentine’s Day. But with careful planning and a little imagination, you can once again feel the love of Valentine’s Day! 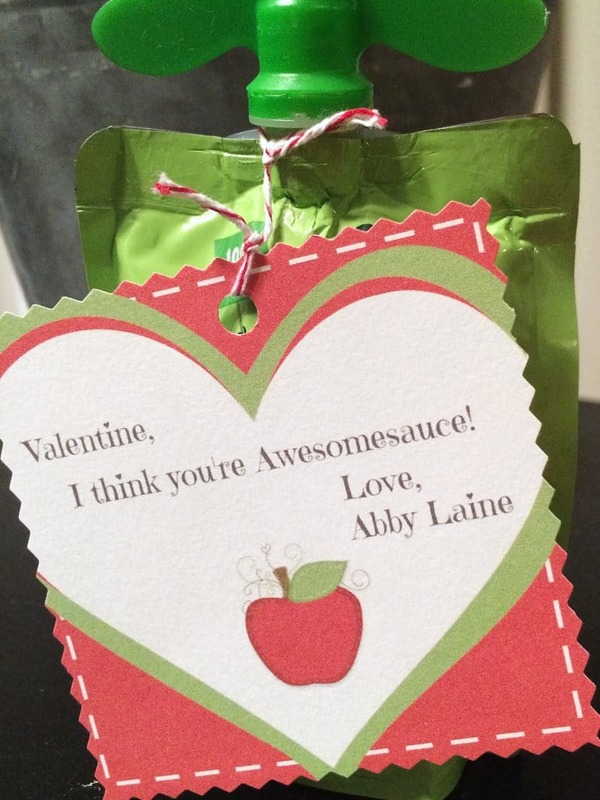 Because, let’s face it, your kids aren’t going to hand out your homemade cute Valentine’s forever! So don’t let this heart day be a bummer! 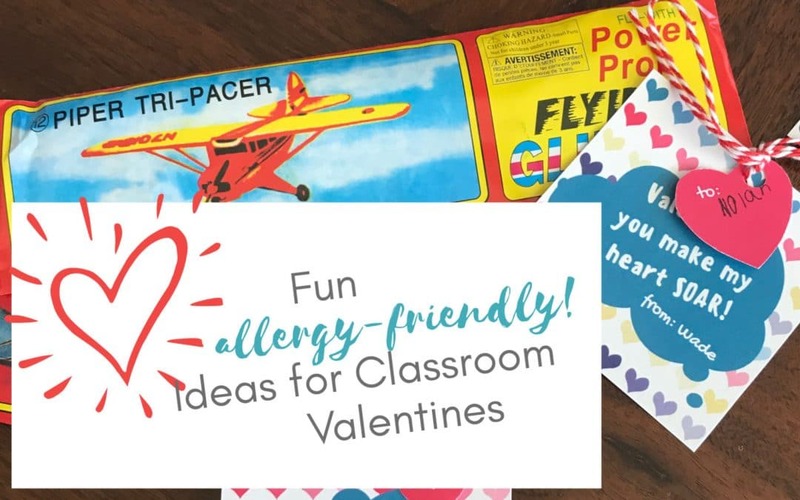 Here are few suggestion I LOVE for making Valentine’s Day exciting for everyone, regardless of your dietary restrictions! I’m pretty sure you’ll <3 them too! 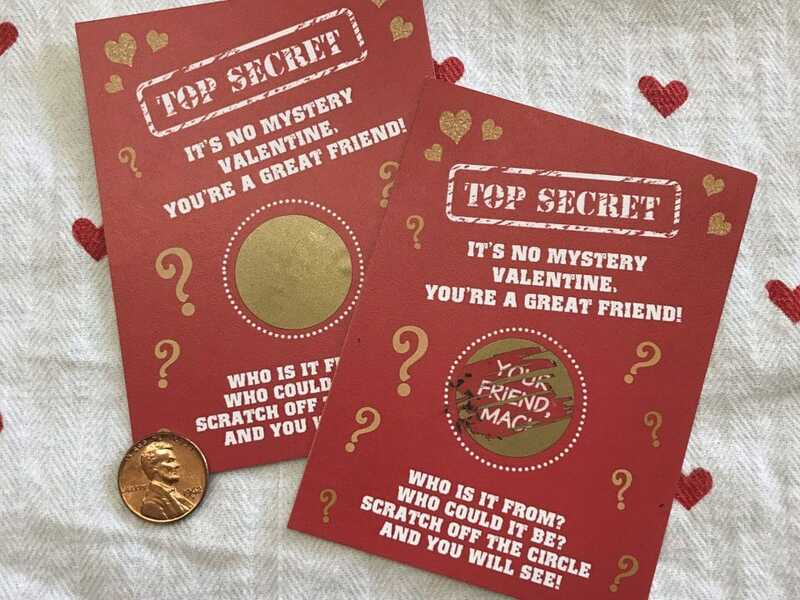 Last year, both of my boys gave their friends scratch off Valentine’s cards. We packaged each one in a festive valentines cello bag and included a shiny penny for each friend! While our exact cards are no longer available, I found similar ones here and here. 2. You make me soar! This year, my youngest decided he’d like to give his friends these fun foam glider planes. 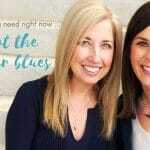 The great part is that they come individually packaged for giving, are pretty inexpensive, and are sure to provide hours of fun for kids of any age. So, I whipped up these cute little printable tags and hearts and attached them with a little bit of this festive twine and voila! Super cute and ready to give. Mad Libs are the fun for all ages! 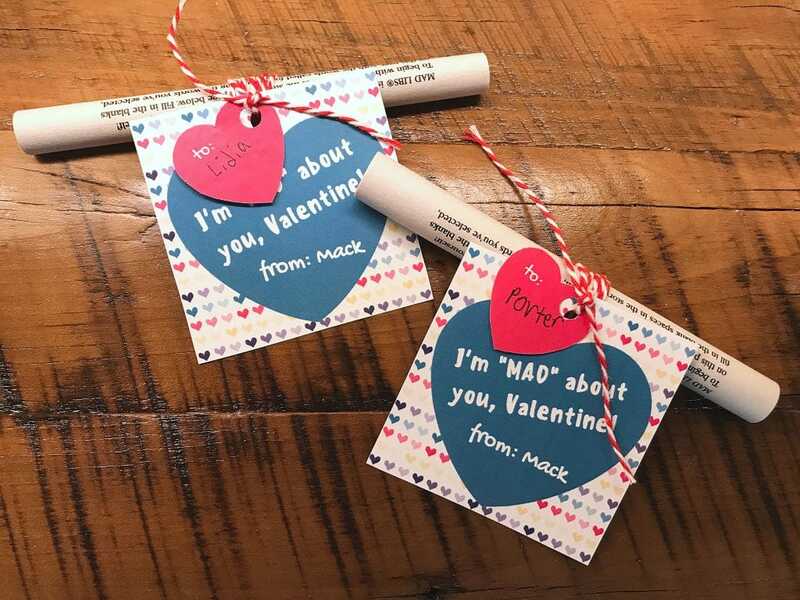 Even my 4th grader doesn’t mind gifting his friends with a single sheet of Mad Libs in Love and a clever little printable card for some Valentine’s fun. Easy peasy to put together too — we rolled up each Mad Lib and tied it up with little piece of twine. Now, I’m sitting back and waiting for the laughs to begin! 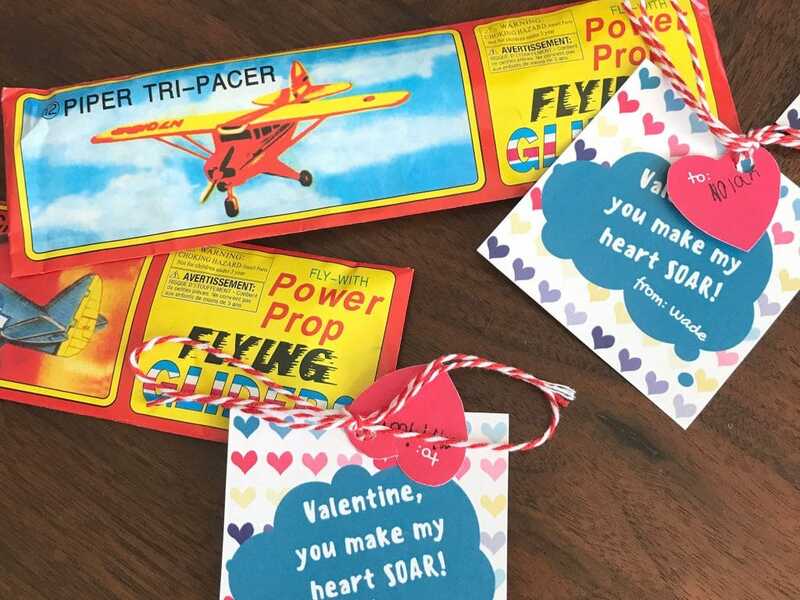 Boys and girls are sure to get a kick out of these sporty valentines! We love this easy downloadable printable from Gluesticks and Gumdrops and order these sports balls. 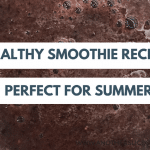 Package it all together for a guaranteed score! 5. A little something sweet! Add a fun little note about how “awesomesauce” they are and you are all set! I hope these suggestion spark your creativity and help you make this Valentine’s Day a little more inclusive for all! Tell me now, what’s your favorite “safe” Valentine’s idea?